Case studies are used for various purposes. For example, they are used for academic researches to ensure a solid proof foundation. 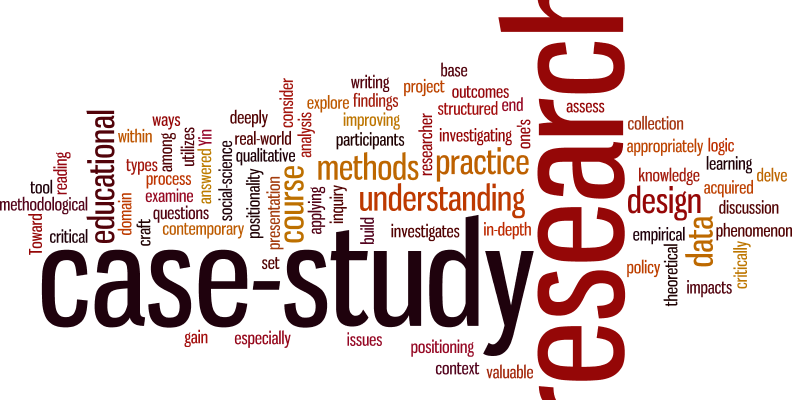 There are several common types of case studies, such as critical, cumulative, illustrative studies, and many others. Different types of case studies imply the use of a certain writing style, and the type you need to choose depends on your purposes. However, all these papers have some features in common, so we made a brief description of what the writing process should look like. First of all, decide what type of case study is most suitable for your audience. The chosen style will determine your methods and the structure of your paper. Writing for corporations, you will likely need to write an illustrative case study, while schools may need you to prepare a critical or cumulative case study. Anyway, you will need to accurately analyze some situation to reveal some facts that were previously unknown. The range of topics is wide: you can write about individuals as well as about companies and even countries. Sometimes case studies are devoted to more abstract things, like some practices and programs. Thus, you can write a study about almost everything you can imagine. Once you’ve determined the field, you need to choose a specific topic that is interesting to you. Spend some time in a library or on the internet, studying the problem and noting some important details about it. Search for the necessary information everywhere you can so that you can choose from among different materials. It’s important to acquaint with works published before so that you won’t replicate somebody else’s study. Reading various researches devoted to your topic, you may find some gaps in knowledge that you can fill with your own paper. This will also simplify your choice of a topic and give you a better understanding of what information to focus on. Begin with selecting participants whose interviews you will include in your case study. We suggest searching for well-known people, even if they don’t share your opinion. The point is to find people who are directly involved in the considered issue. You may interview an individual or a group of people. The latter approach may be beneficial for your paper because several participants gathered together are able to provide a more detailed picture of your problem. However, if your study considers some personal issue, it would be better to prepare personal interviews. Make sure that you have different opinions so that your study won’t be one-sided. If you cannot meet somebody in person, consider possibilities of a phone interview. Sometimes even email interviews may work out. Prepare a list of questions for the interview and make sure you have a list of personal questions that may help you understand personal opinions. Ask people how they feel about the situation, what they consider the most important, and what they’d like to change. Make your work effective: you may find a detailed description of the situation in some articles, so make sure to ask about things that you can’t find in other sources. Don’t forget that everyone you’re talking to should know what exactly you’re working on. They need to be aware of your purposes and key ideas of your study. Don’t ask too controversial questions. Talking to different people, ask them the same questions to ensure that your case study provides different perspectives on a similar subject. Even if you have no idea what answers you’ll get, focus on open-ended questions. When your questions cannot be answered with “yes” or “no,” you get much more information. Ask a person to provide you with some materials related to your study, if possible. For example, when writing about some product, clients can provide you with useful statistics. You may also need photos or any other evidence that will make your study more illustrative and credible. Once you’ve collected all data, define a central idea of your paper. You need to formulate the main idea in a thesis-like statement. This statement will help you focus on some specific information that is most important for your topic and understand what to get rid of. In general, your case study should include four major sections: an introduction, background information, findings, and a conclusion. The introduction briefly describes your subject, and the next section provides your readers with the necessary background so that they will better understand the problem. After this, present your data and end your paper with suggestions. However, you don’t need to solve the problem completely, there’s nothing wrong with leaving your readers with a question.